I know I’m not the only one who feels guilty when I start to think about how and where my favourite shoes are made, especially if you want good quality sports-wear. Junkies was very lucky to receive a pair of the new Merrell Gridway shoes. They are not only comfortable and stylish but knowing that they are made from recycled materials makes them my go-to shoes. And I must say, I’ve had a great many compliments from people asking me where I got them and they are always intrigued when I explain what they are made from. Starting out in 1981 as ‘Randy Merrell's Boots’, Merrell has come a long way with an extensive record of being the ‘top provider of performance outerwear’ as well as being sported by powerhouse outdoor athlete Robyn Benincasa, a 2-time adventure race world champion, 10-time Ironman finisher, and Guinness world record holder for 24-hour flat-water paddling. The launch of Merrell’s ‘Gridway Collection’ last month brings to life the adventure brand’s holistic approach to sustainability, with all knit uppers and laces made from 100% recycled materials. Merrell’s ethos is founded on enjoying the outdoors and so it is important to the brand to consider its own impact on the environment. The collection features impeccably designed sneakers that are both durable and stylish. The sleek designs feature Vibram rubber outsoles, designed for unmatched durability and non-slip technology. Merrell President, Sue Rechner, explains that the brand is committed to reducing the impact on the planet wherever possible. “We know we’re not going to single-handedly save the planet. But when your passion and your business is getting people out to nature, trying to minimise your environmental impact is just what you do”, she says. The company’s focus is on conserving resources and reusing materials during manufacturing, and on making durable products that don’t prematurely wear out, reducing both consumption and landfill waste. Senior Product Director, Johanna Koeberle, stresses the importance of having en empathetic ear to the consumers’ needs and desires when designing Merrell’s footwear. “It can be challenging to meet all the requirements consumers look for in sustainable shoes – recycled components and mindful manufacturing processes, yet durable and stylish.” Johanna adds, “With the feedback we’ve received, we feel the Gridway Collection merges all those needs in the way we intended”. 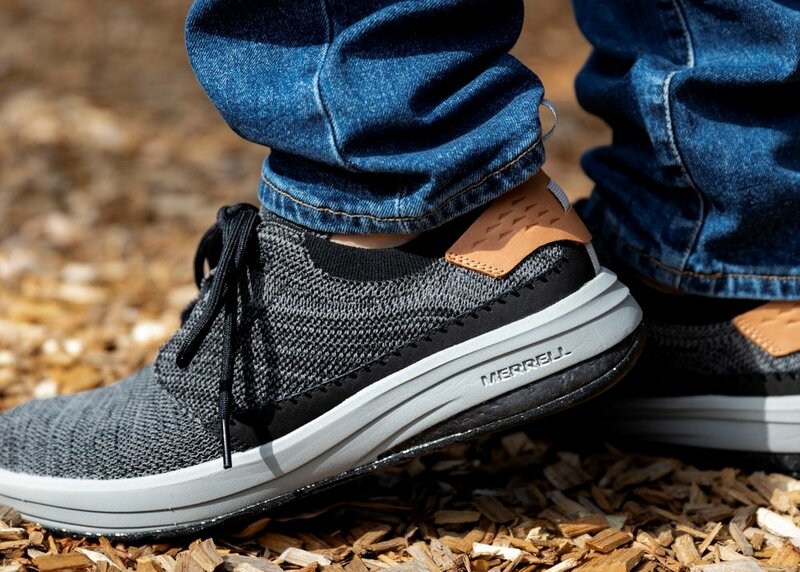 The Gridway collection includes the following recycled materials: 100% recycled knit uppers and laces, 50% recycled EVA footbeds, 40% recycled EVA midsoles, and 30% recycled post-industrial scrap rubber outsoles from their own factories. They also use recycled polyester from things such as single-use plastic bottles and ocean plastic which. If other brands follow in their footsteps (pun intended), this will make a huge dent in the amount of waste that goes into our oceans. 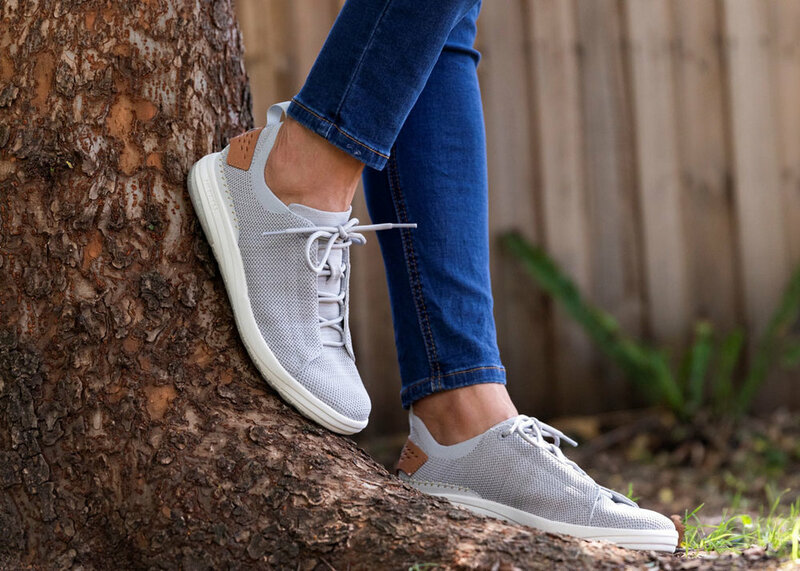 “We are always looking for ways to incorporate more repurposed material where possible”, says Merrell Marketing Communications Executive, Alexandra Pinker. Having such a well-known and well-trusted brand release a line of such durable and stylish recycled sneakers like these is a very important step towards more brands following in their footsteps and, bit by bit, bringing the fashion industry closer to more sustainable production.